Yisrael Beytenu knows that without it, Netanyahu does not have a coalition and therefore is preparing for tough negotiations. The head of the Yisrael Beytenu party’s coalition negotiation team, MK Oded Forer, is presenting several demands which, if not met, Prime Minister Binyamin Netanyahu will find it difficult to form his fifth coalition government. "It's going to be a tough negotiation and we have some core issues that will be difficult to negotiate. Receiving the Defense Ministry is the small problem, the question is what security policy we will lead there," Forer told the Israel Hayom newspaper. He promised, "We will not return to a government that will behave in the same policy that caused us to leave. We will not join a government that will decide on an arrangement with Hamas, but rather one that will make a decision to defeat Hamas. We will demand to discuss in advance the issue of the POWs and MIAs every time we talk about humanitarian issues, and we will have to talk about the Draft Law as well." Liberman is demanding that the Interior Ministry, which is now held by Aryeh Deri, be transferred to Yisrael Beytenu. "Apart from the Defense Ministry, the Interior Ministry is also of interest to us," Forer said, adding that "the entire issue of DNA testing for immigrants from the Soviet Union will have to be addressed." Forer rejected the reports of coordination between Liberman and Yair Lapid, saying, "It’s complete nonsense. Nothing but speculation. Liberman is returning to Israel on Monday. We will convene the party’s secretariat and central committee and announce who we will recommend for Prime Minister." He refused to declare that the party would recommend Netanyahu, but at the same time said, "Obviously we will not sit with Gantz, Gabbay and Zandberg, they are not our cup of tea. I cannot say what will happen. The last time they talked about portfolios and policy and we did not join the government at the beginning of the term, only in the middle, and at the end when the government went to the wrong place, we left. We will have to determine things in advance." "On economic matters, I think it will be easier to reach agreements, especially in matters relating to the self-employed and small businesses, to the production and pensions of the elderly," added Forer. 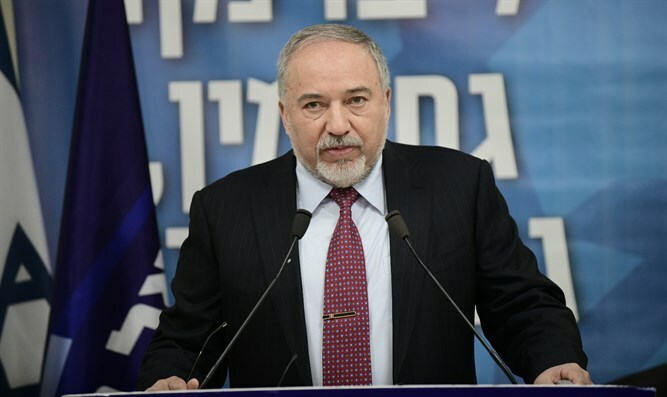 On Friday it was reported that Liberman has conditioned his serving as Defense Minister and the approval of the Draft Law in its original wording, without the changes demanded by the haredim, on him joining the coalition. Liberman served as defense minister in Netanyahu’s previous government, before resigningin November of 2018 following the launching of about 500 rockets and mortars at southern Israel by Hamas and other terrorist groups.